George’s family knew then… something wasn’t right. When you think of your family and friends, who is the person always up for a laugh or always greets you with a warm embrace? 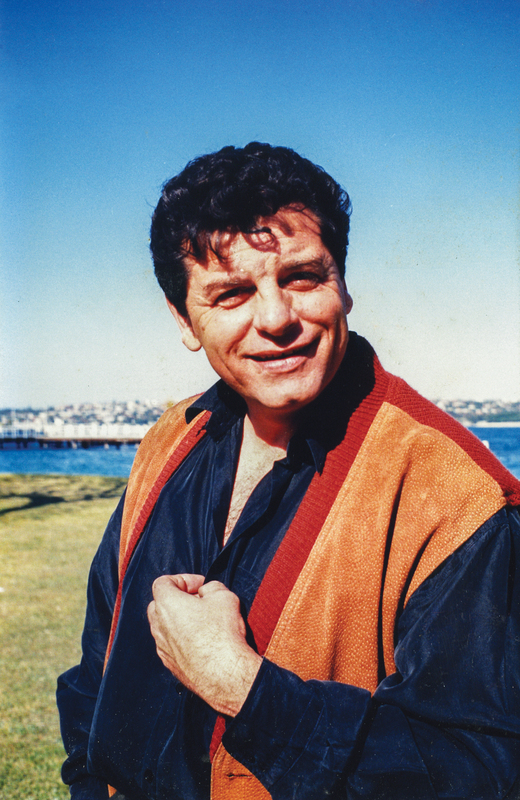 For the Kostakis family and their friends, George – husband, father, grandfather and mate – was that man. 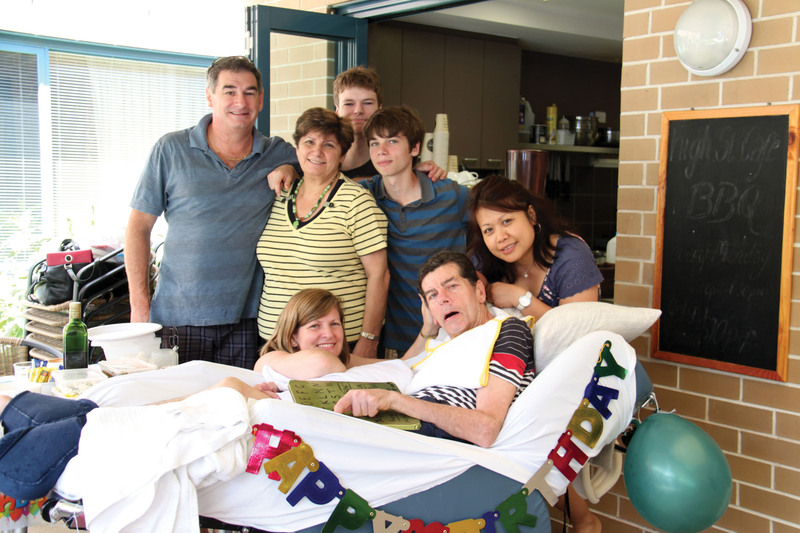 From his earliest teenage soccer days, right through his working like, George’s generosity and larrikin spirit meant people were drawn to him, and most were lifelong friends. “He’d often take Jordan (now aged 21) down to the beach as a toddler. 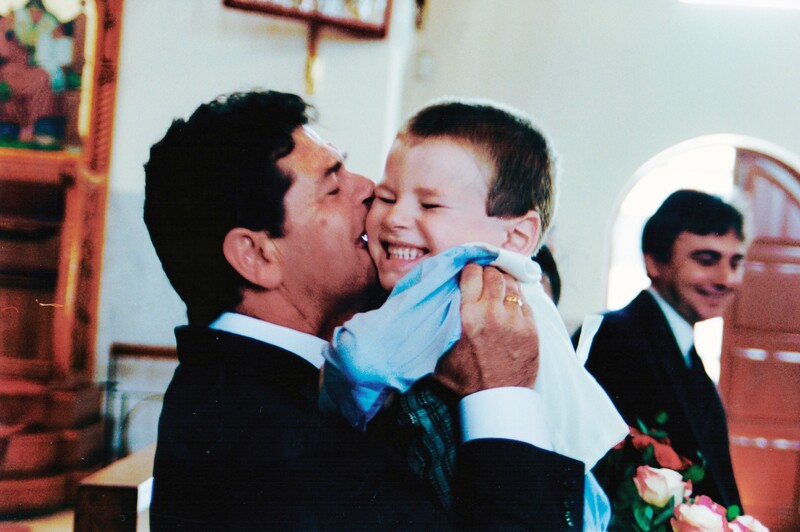 He loved the attention that Jordan would bring, calling Jordan his ‘chick magnet,’’ Laila, George’s daughter remembers. It was no surprise that George was popular. Soccer was his passion. Coaching his grandson’s soccer team was the highlight of his week. ‘Pappoús (Greek for grandfather) taught us to shake hands at the end of every game; to help someone up when they were down; and win or lose, to enjoy a game played well,” Jordan and Jamie (now aged 19) both reminisce. When babysitting his grandchildren he didn’t notice the storm of messiness they created, or waste time on bedtime rituals. They were too busy playing, and he wasn’t scared to show them how much he loved them, often “gently chewing on their elbow funny bones” or blowing raspberries. When he didn’t show up for soccer practice, his family knew something wasn’t right. Falling was just the beginning. George was rarely unwell… fit, healthy and never smoked. That all changed around his 55th birthday. George had started to fall over and slur his speech. It embarrassed him, and he couldn’t explain it. He withdrew from those he loved. Like so many neurological illnesses, ‘joining the dots’ takes time. That is why it’s critical researchers work together to discover more about disorders of the brain and mind. Whether it’s dementia, Parkinson’s disease, or motor neuron disease, incredible and exciting breakthroughs are possible when researchers from different areas work closely together, like they do at NeuRA. 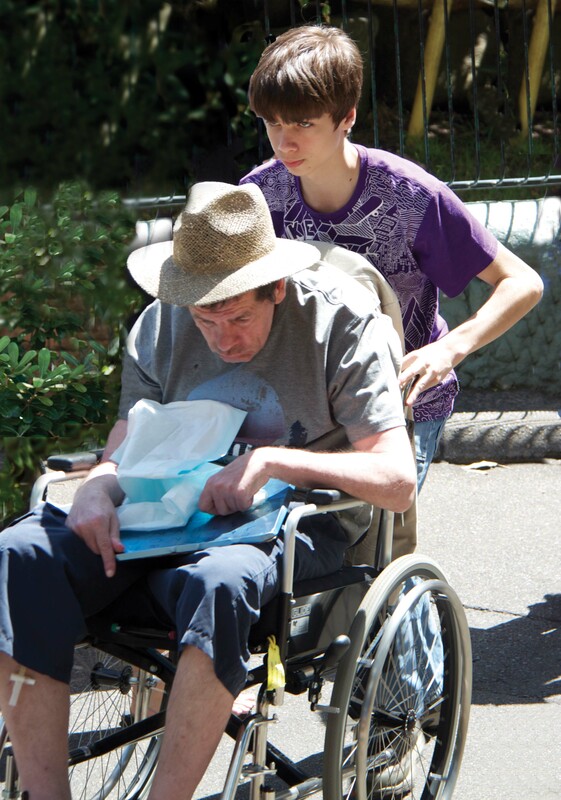 It was nearly two years after his first symptoms that George received an initial diagnosis. Something didn’t seem right though. Dismissed as ‘coincidence’, he was experiencing many other symptoms not explained by the initial diagnosis. He was now in a wheelchair, had lost much of his ability to speak and losing his ability to swallow. He had bowel and urinary issues and was fainting. Finally, after seven years from the first symptom, George was correctly diagnosed with Multiple System Atrophy (MSA). It explained everything. ‘“After so long not knowing what was happening, the diagnosis finally made sense, and we learnt to live with it. We spent lots of time with him – feeding him his favourite foods, talking about our week or the fickle politics of our time. The kids would talk about their adventures, watched soccer with him, and read him the newspaper. Life had changed. But the man was still the same – same sense of humour, same interests, same passions. It was only at the end of his life that we discovered just how much he also treasured this time,” Laila recalls. Multiple system atrophy – the cousin of Parkinson’s disease. MSA is a degenerative brain disorder that impairs the body’s functions, including blood pressure, heart rate, bladder function and is related to Parkinson’s disease. The cause of MSA is largely unknown, and affects men and women equally. It begins primarily in people aged 50, although it can strike as early as 30. The progression of the disease is rapid and patients are confined to bed within five years of onset of symptoms. Death results within about nine years. There is no cure or effective treatment. There is no current government funding for research. Achieving these will lead to better health outcomes, through earlier interventions and targeted treatment plans. It may even help in our understanding of Parkinson’s disease and other disorders of the brain. When you support NeuRA in MSA and Parkinson’s disease research, it may even help someone with dementia. It may even help a child with autism. It may even help someone with sleep apnoea. It may even change the future of someone you love. The last few years were exceptionally difficult. Every meal was an adventure. Food that he enjoyed had to be prepared in ways that he could swallow. He could no longer move or speak. His crippled body failed him. His friends – not able to reconcile the George they knew with the one they now saw – coped by staying away. He suffered but he fought with all his strength. “The night he died, he opened his eyes and signalled for the boys who were leaving to come back… he must have known his time was up. They hugged and kissed him one last time. He died a few hours later. He was 65,” Laila remembers. With the end of the financial year upon us, will you help with a gift so that one day boys like Jordan and Jamie won’t lose their grandfather in such a horrible way? Or perhaps you’d like to become a regular donor, and help See it Through to a Cure by making a monthly donation. Please make a donation today to support research into MSA.